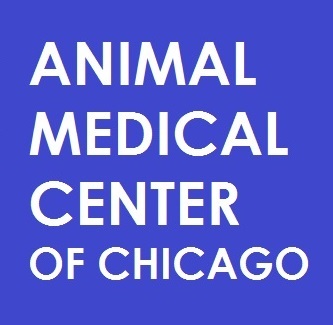 Thank you for applying for the open Full Time Veterinary Receptionist position at Animal Medical Center of Chicago (1618 W Diversey, Chicago IL). This application must be completed in its entirety to be considered for the job. In addition to completing the application below, please send your cover letter and resume to doctors@animalmedicalcenterofchicago.com (subject line: Veterinary Customer Care Coordinator Job). Note applicants must complete the above online application plus send in a cover letter and resume to doctors@animalmedicalcenterofchicago.com to be considered for this position. Failure to do so will make you ineligible. Thank you for applying! * 10. Are you able to perform the essential functions of the position with or without accommodations (i.e. standing on your feet for long periods of the day, bending, twisting, lifting objects up to 50 pounds by yourself)? * 11. Are you legally eligible for employment in the U.S.? * 12. We are looking for someone who has an open schedule without restrictions that is willing to work flexible hours during our hours of operation (i.e. a combination of both opening and closing shifts to make up a 35-40 hr work week). Our hours of operation are: M-Th 7:15AM-8PM, F 7:15AM-5PM, Sat 7:15AM-2PM. Do you have an open schedule without restrictions and are you willing to work flexible hours? * 13. If necessary for the job, are you able to work overtime? * 14. Have you been convicted of any crimes (excluding minor traffic violations)? * 15. Are you willing to undergo a criminal background check as a condition of employment? * 16. Are you willing to undergo a urine drug test as a condition of employment? * 18. Date available to start? * 19. Do you have any previous veterinary or animal experience, either professionally or personally? If yes, please elaborate. * 20. Are you currently working? If yes, please provide details in the "other box" (i.e. employer name, length of time at job, reason you desire to leave). * 21. Please provide a brief employment history. List your last 3 jobs. (Employer name, start/end date, reason for leaving). * 22. Please list your educational background (high school, college/university, technical program). Be sure to include the institution name, years completed, field of study, degree acquired. * 23. Do you have any professional licenses, certifications, or registrations that pertain to the job? * 24. Why do you want to be a veterinary receptionist (aka care coordinator)? Please explain in detail. * 25. Why do you want to work at Animal Medical Center of Chicago? Please explain in detail. * 26. What experience do you have with multi-tasking? Please explain in detail. * 27. What's something above and beyond you've done for a team member before? * 28. What's something above and beyond you've done for a client/customer before? * 29. What is your best attribute? * 30. Where do you see yourself in 3-5 years? * 31. List two professional references including: reference name, company name, position within company, and telephone number. Please type your full name below and date if you understand and agree to the disclaimer shown below. Disclaimer: As part of our procedures for processing your employment application, your personal and employment references may be checked. If you have misrepresented or omitted any facts on this application, and are subsequently hired, you may be discharged from your job. If necessary for employment you may be required to: supply proof of authorization to work in the United States, have a criminal background and/or drug test, or sign a conflict of interest agreement and abide by these terms. In addition to completing the above application, please send your cover letter and resume to doctors@animalmedicalcenterofchicago.com (subject line: Veterinary Customer Care Coordinator Job). Note applicants must complete the above online application plus send in a cover letter and resume to doctors@animalmedicalcenterofchicago.com to be considered for this position. Failure to do so will make you ineligible. Thank you for applying!